Why Does Iran Keep Taking American Hostages? It’s hard to remember a time when the Islamic Republic didn’t have U.S. citizens in its prisons. There’s a reason for that. In April, American citizen and former Marine Amir Hekmati made a special plea to congressional leaders from Tehran’s notorious Evin prison, where he is incarcerated on trumped-up espionage charges. The United States, he said, needs to ensure that Iran faces “serious consequences” for its “serial hostage-taking,” before it claims another victim. 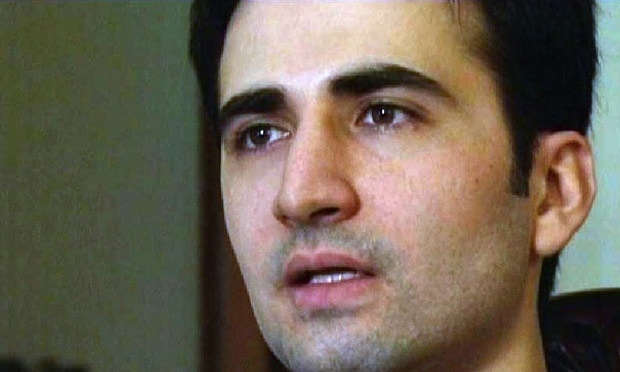 Hekmati was seized on his first trip to Iran. Born in Flagstaff, Arizona to parents who left Iran in 1979, Hekmati wanted to meet his extended family and visit his ailing grandmother. At the time, Iran was negotiating the release of American hikers Shane Bauer and Josh Fattal, who were taken in 2009. When then-President Mahmoud Ahmadinejad announced in September 2011 that the hikers would be released in a “humanitarian gesture,” the regime had already replaced that particular chess piece with Hekmati. But few were aware of that. Back in Michigan, all Hekmati’s family knew was that he was missing. He’d been in Iran for a couple of weeks and stayed a few nights with different relatives. On August 29, 2011, he called his mother to say that he’d be back home in a few days. That evening, family members ordered a taxi to his cousin’s apartment so he could attend a family dinner. He never took the cab. Concerned family members went to the apartment and found signs of forced entry and a scuffle. Amir was gone. “We understood that he had been taken at that point,” his sister Sarah told me last year. “No police station was acknowledging then that they had him in their custody. We began to panic because we thought he was kidnapped.” Over the next four months, Amir was able to make one phone call to his family. He told them he was being held at Evin. But when relatives rushed to the prison, they were told there was no one there by that name. Their nightmare was compounded when Hekmati surfaced on state TV that December. He was trumpeted as a captured American spy, and delivered an on-air “confession” the following month. It was quickly followed by a closed-door, half-day trial in which he was sentenced to death on a charge of conspiracy to commit espionage. “From January to March, imagine waking up every day to check the news to see if they’ve executed your brother,” Sarah said. The death sentence would be reduced to a 10-year sentence on charges of collaborating with the U.S. government and “corrupting the Earth.” Amir’s appeals languish, rising and falling according to the mood of the Iranian judiciary. His family is trying to get attention from the media, the White House, the Iranian government, and Congress. They even lobbied other P5+1 governments at last year’s UN General Assembly. In one heartbreaking message, Sarah Hekmati begged White House counterterrorism advisor Lisa Monaco to urge President Obama to mention her brother’s name in public. “Why when we make a request is it ignored?” she wrote. “Why am I forced to write this email to you AGAIN, the same subject AGAIN, the same plea AGAIN?” In July, after nearly four years, Obama finally said Amir’s name in a speech at the Veterans of Foreign Wars convention. Whenever possible, Hekmati has lobbied on his own behalf, as well as for other Americans who are currently suffering at the hands of Iran and those who may be seized in the future. “While I am thankful that the State Department and the Obama administration have called for my release and that of my fellow Americans, there has been no serious response to this blatant and ongoing mistreatment of Americans by Iran’s Ministry of Intelligence, and they continue on with impunity,” he wrote in the letter to congressional leaders, dictated over the phone from prison. As a war veteran who defended our nation in its time of need, I ask that you also work to defend my dignity and that of my fellow Americans by putting in place serious consequences for this serial hostage-taking and mistreatment of Americans by Iran’s Ministry of Intelligence for clearly illegal purposes. This has been going on far too long. Unfortunately, Amir Hekmati is not alone in his ordeal. The Twitter hashtag #FreeAllFour, used to advocate for the release of all Americans held by Iran, also includes Jason Rezaian, Saeed Abedini, and Bob Levinson. These men are linked by the fact that they are all in custody or missing, with no sign that they will be released. This was the case even as Iran and the P5+1 reached an agreement on Iran’s nuclear program. Many connected to these cases have stressed that they didn’t want the hostages released as part of the deal. This included Amir Hekmati himself, who fears concessions will only encourage more hostage-taking. Ahmad Batebi landed in Evin Prison when he appeared in an iconic 1999 Economist cover photo holding a wounded student’s bloodied T-shirt aloft at Tehran student protests. He told me that Iran’s policy of taking hostages has its notorious roots in the 1979 Islamic Revolution. Fifty-two Americans were held for 444 days after the sacking of the U.S. Embassy. Levinson, Hekmati, and Abedini have been held longer, and Rezaian will pass the 444-day mark in early October. Bob Levinson was working as a private investigator on a case later admitted to be a CIA operation when he was taken by unknown kidnappers on March 9, 2007. The father of seven has become the longest-held U.S. hostage in history. With so much in question about his captors and current well-being, one can only look to his disappearance and a smattering of troubling communications for clues. 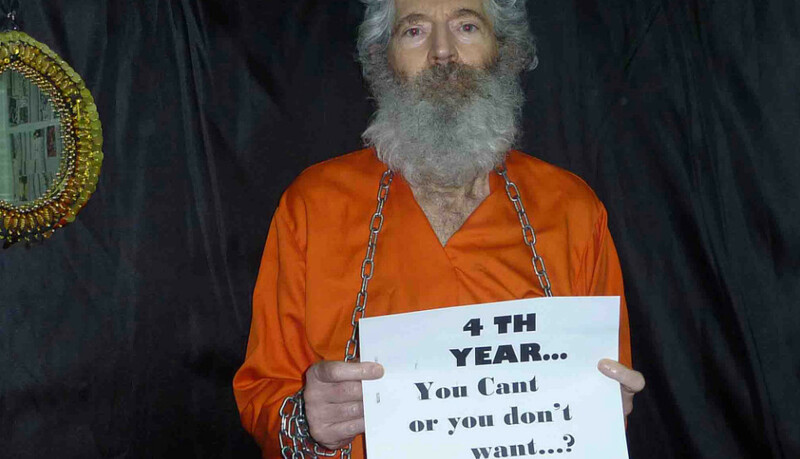 Bob Levinson in a photo released by his captors. Ali Alfoneh, a senior fellow at the Foundation for Defense of Democracies, told me that he believes Levinson has been held by Iran’s Revolutionary Guard Corps (IRGC) in a kidnapping the regime didn’t order, but has used to its advantage. “Whoever is in opposition is engaged in hostage-taking,” Alfoneh said. The Ayatollah is not engaged in hostage-taking, not authorizing it. However, they tolerate it and, when it happens, use hostages opportunistically to extract and gain concessions from foreign governments whose citizens are held hostage by Iran. The head of state indirectly is involved. The Levinson family has received no evidence that he is alive since 2011. Advocates for Saeed Abedini, a naturalized U.S. citizen born in Iran, maintain that he was imprisoned for his Christian faith. But the pastor was working on a project with the blessing and cooperation of the Iranian government when he was seized. This makes his ordeal even more senseless and heartbreaking to his family: He had permission to be there. Abedini’s wife, Naghmeh, told me the tale in the summer of 2014: In 2000, the future pastor converted to Christianity in Iran and began founding churches in private homes with the knowledge and supervision of the Iranian government. Naghmeh had lived in America since her childhood, and met Saeed on a trip to Tehran in 2002. They wed in 2004, but Ahmadinejad’s stepped-up campaign against religious minorities forced them to return to the U.S. a year later. 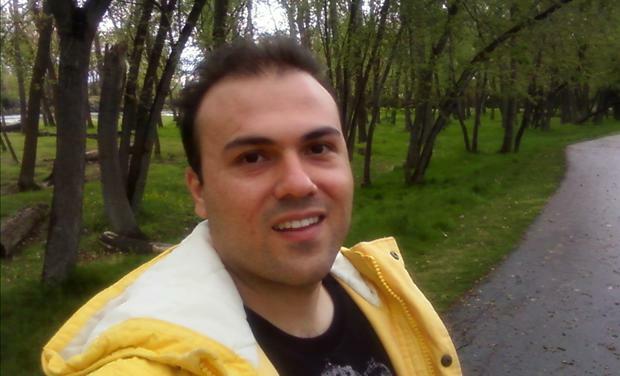 Abedini was first arrested while establishing house churches on a 2009 visit to Iran. According to Naghmeh, this led to an arrangement with the Iranian government. Abedini wanted to help people, and “the intelligence police told him, why not do humanitarian efforts?” So he began building an orphanage in the Caspian Sea city of Rasht. From 2009-2012, Abedini made eight trips to Iran. The orphanage was close to opening. The board of directors was coming together. The neighborhood was eager to have the facilities. On his ninth trip, Abedini was on a bus about to cross into Turkey. It was July 28, 2012. He was yanked off the bus by officials from the IRGC. They put him under house arrest with his parents. But two months later, the IRGC returned. They raided the home and dragged Abedini off to Evin prison. Naghmeh was blindsided. She’d taken their two children to Iran near the end of 2011 and says they felt safe. She believes that surveillance of Abedini and his orphanage project was transferred from the intelligence police to the IRGC, which didn’t like what it saw. “We believe they used Saeed as an example to cause fear, to not want people to convert to Christianity,” she said. He is currently serving an eight-year sentence, but Naghmeh told the House committee in June that Abedini’s jailers tell him that he will “never come out” of prison unless he converts back to Islam. Saeed has been beaten and suffered internal bleeding. The American Center for Law & Justice has been representing Abedini as a victim of persecution against Christians. Notable advocates for human rights in Iran agree that his faith, not just his adopted nationality, led to his arrest and inhumane treatment. Haleh Esfandiari of the Woodrow Wilson International Center for Scholars was arrested in 2007 on a visit to Iran—her home country—and held in solitary confinement from May to August of that year. “They don’t look favorably on converting out of Islam,” she told me in regard to Abedini’s case. “If you are lucky, you just keep a low profile and keep continuing your life. If you are unlucky, you’re like the pastor.” She added that “maybe appealing to the ayatollah as religious leader, not a political leader” could help bring Abedini home. Demonstrating how Iran’s treatment of Americans responds to the news cycle, the day after Naghmeh Abedini’s latest testimony on Capitol Hill, the pastor was attacked by fellow inmates and given two black eyes. In the midst of negotiation with Iran over its nuclear program, as Secretary Kerry sits politely with the Iranians, shaking hands and offering large economic concessions to save them from economic meltdown, Jason Rezaian was added to the growing list of American captives, undoubtedly in hopes of milking more concessions from the U.S. government. Rezaian was arrested in July 2014 along with his wife, Yeganeh Salehi, the Iran correspondent for the UAE newspaper The National. He had been reporting from Iran since 2008 and for the Post since 2012. 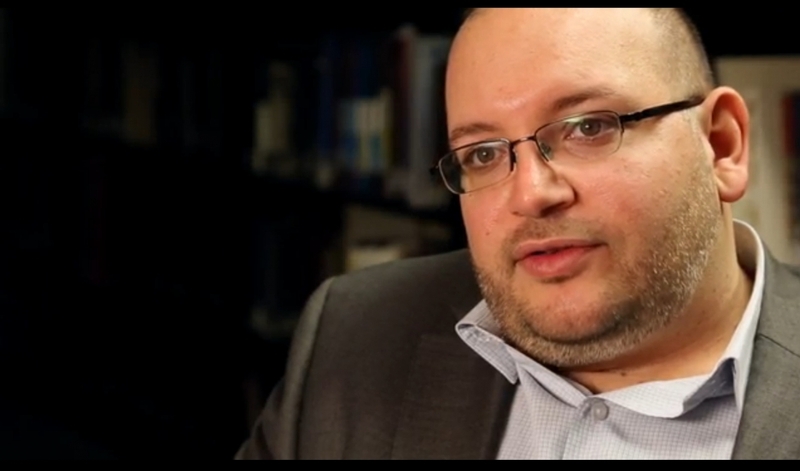 Rezaian was held for months without charge. He was eventually accused of espionage on decidedly flimsy “evidence.” It included a U.S. visa application for his wife and an online interest form he filled out in 2008 for President Obama’s transition team. Whether or not he was taken to subvert the negotiations, the timing of his court dates certainly suggests that the Iranian government was trying to undercut subsequent talks and must have been in a state of disbelief when Americans didn’t take the hint and ignored the fate of an Iranian-American. Haleh Esfandiari believes Rezaian was a victim of the Intelligence Ministry, which was trying to embarrass the Iranian president at a critical time. “Sure, they knew that they cannot derail nuclear talks, but wanted to embarrass Zarif and Rouhani,” she said of Foreign Minister Javad Zarif and President Hassan Rouhani. “If they have a hostage, they can put pressure on the West on nuclear negotiations—that’s the first goal,” said Ahmad Batebi. The regime’s second goal, he believes, is to put the Iranian people on guard about the supposedly pervasive threat from the West. They need to show to people and prove to people we have a bad situation, saying to people, “We have to be careful at all times, we have to watch everything all times, the enemy is trying to find out information about us, about our activities—they send spies for us, so we have to be careful. The administration’s response to Rezaian’s arrest has been minimal. In mid-July 2015, while pitching the nuclear deal with Iran, Secretary of State John Kerry simply said, “We are working very hard on him.” His family members likely found this less than comforting. When Rep. Dan Kildee (D-Mich.) entered the House of Representatives in 2013, his constituent Amir Hekmati had already been behind bars for more than a year and a half. Kildee has since become a key advocate in the House for all four hostages held by Iran. In June, he introduced a resolution that led to a unanimous vote demanding their immediate release. When the hostages’ families testified before the Foreign Affairs Committee, Kildee stressed that Iran is “holding innocent Americans guilty of nothing but being American.” He says not a day goes by that a colleague doesn’t ask him about Hekmati and the other Americans held in Iran. I can’t speculate on Iran’s reasoning, but clearly Amir is an innocent American citizen that needs to be released. If Iran wants to rejoin the global community, they can’t continue to take and hold political prisoners like Amir. We are trying to move in a more positive direction with Iran and clearly their continued imprisonment of American prisoners makes that more difficult. Kildee echoed the frustration of other House members and senators who represent the hostages, as well as the frustration of their families. “The onus is really on Iran to do what is right,” he said. The Iranian government has it fully within their authority to make this decision to release Amir and the other Americans they hold. For Amir Hekmati, all he did was volunteer to serve in the military in the United States, his home country and place of his birth, and then went to visit family in Iran for the first time. Hekmati did indeed serve honorably as a sergeant in the Marine Corps during the Iraq war. After leaving the military, he put his linguistic skills to work as a contractor. His sister Sarah says he was open about his service when applying for a visa. Iranian officials told him it wouldn’t be a problem. Esfandiari echoed Batebi and Hekmati’s suspicions. She says officials told her the same thing: They were hoping to swap her for Iranians held by the United States. One Iranian official all but confirmed this theory. On May 28, Iranian Foreign Ministry spokeswoman Marziyeh Afkham accused the United States of “projection” when it demanded the return of hostages. “They should take a look at the unfair prosecution of Iranian citizens who are jailed in the U.S. on baseless charges,” she said. Risibly, Iran claims that the U.S. doesn’t have jurisdiction over Hekmati and Rezaian, even though they were born and bred in the United States. This bears repeating: According to Iran, the U.S. has no jurisdiction over its own citizens. Indeed, the Iranian government did not recognize the American citizenship of Roxana Saberi, a journalist arrested in 2009 and held in Evin prison on espionage charges for 101 days. Saberi was born in New Jersey to an Iranian mother and a Japanese father. Iran opportunistically seizes American targets who may or may not be of value at a particular point in time. 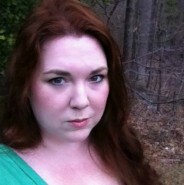 It hopes to use them as a bargaining chip or to send a message. If necessary, they can be saved for a moment when Tehran wants extra diplomatic leverage. These are time-honored tactics. “There’s absolutely nothing new about hostage-taking in Iran,” Ali Alfoneh said. It’s a perfectly normal procedure and political practice in the Islamic Republic. That has been the case since the first day of the revolution and continues until today. Usually, the legal government is opposed to hostage-taking as it will be facing the protests of foreign governments. At the same time, the opposition is always actively engaged in hostage-taking. It serves their interest to show the government as weak. And Iran gets away with it, in part, thanks to relatively low interest among the American public. People are not displaying yellow ribbons en masse as they did during the Iran hostage crisis. Many updates go unnoticed by the media and the hostages’ families battle the perpetual peaks and valleys of public awareness campaigns. American government policy is not helping the situation. Indeed, Naghmeh Abedini was told by the State Department—which did not issue a statement on the issue until almost six months after her husband was taken into custody—to wait and see how things developed. This is typical. And as the U.S. dithers, the hostages’ families are being run ragged by years of campaigning for their loved ones, knowing they can’t sit and wait. Representative Kildee holds out hope that Iran can be pressured to do the right thing. Iran would be viewed much more favorably if it returned Amir and the other prisoners to their families. I think Iran needs to understand that the world will continue to view them through a more skeptical lens if they continue to arrest and hold innocent Americans like Amir as political prisoners. If they want to be taken seriously, they have to release the Americans that they hold.